The HP DeskJet 6980 provides reliable and consistent operation and extra features in a unique-looking package. 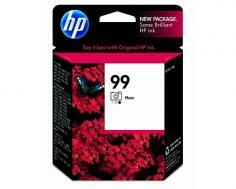 Printing speeds are respectable for both black and white and color printing and optional photo color cartridges offer the capability of producing professional looking, photographer quality pictures. There are also plenty of extra features that automate a lot of printing steps, adding convenience and ease of use to the mix. Perfect for personal use in homes with amateur digital camera enthusiasts, college students and hobbyists. An integrated fast draft mode allows for print speeds of up to 36 pages per minute for black and white and up to 27 pages per minute for color. Other preset quality modes, such as fast normal, normal and best yield, increasingly improves picture and text document quality, while keeping print speeds at a respectable 2.1 to 11 pages per minute for black and white and 2.1 to 8 pages per minute for color. Photos can be printed as fast as 30 to 60 seconds on average. Input resolutions are as high as 1,200 x 1,200 dots per inch for both black and white and color, and quality can increase up to 4,800 x 1,200 dots per inch when printing with photo color cartridges. HP's PhotoREt technology helps make color prints rich, sharp and clear with automatically adjusting resolutions that are tailored to each specific printing need. A wide variety of media types and sizes are accommodated, with borderless printing possible on all sizes. Built-in wireless and Ethernet connectivity make the HP DeskJet 6980 a versatile networking resource, accommodating laptops, PDA's and various types of home and small office networks. Wireless network transmission is according to IEEE802.11 security standards which feature data encryption and privacy protection. PictBridge technology allows for direct connection to digital cameras. Photos can be printed directly, on the fly, without the need to go through a computer software program. A high-speed USB port ensures that PC to printer communication is as fast as possible to accommodate printing photos that are several megabytes in size. The software driver interface includes maintenance functions for periodic cleaning and print head alignment, as well as an ink level indicator. Automatic paper type sensors eliminate the need to manually select paper size before printing. An optional duplexer can increase output capacity by allowing for printing on both sides of a page. The standard four-ink printing configuration can be converted to six-ink printing for increased photo quality. 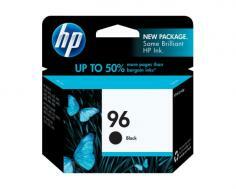 A gray ink cartridge is also available for special printing needs, expanding printing possibilities even further. A four time increase in print resolution results in a ten time speed decrease. This makes any type of consistent production impractical. 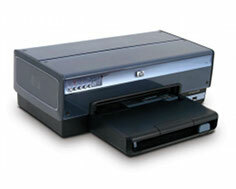 The HP DeskJet 6980 is suited mainly for occasional and less frequent use. Review it: "HP DeskJet 6980 "
The HP DeskJet 6980 comes standard with one black cartridge and one tri-color cartridge with initial page yields that are at full capacity. Of the four available cartridge types, the average page yields are as follows: 800 pages for black, 560 pages for tri-color, 130 pages for photo color and 80 pages for gray. The lower yields of the photo and gray cartridges are due to ink being thicker to accommodate picture-quality, fade resistant printing. The yield ratings are set by the manufacturer based on an average and can vary depending on print settings.